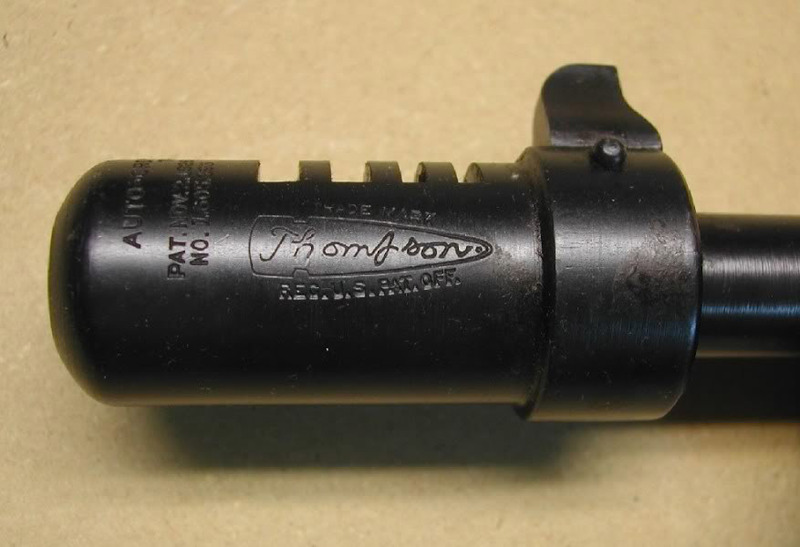 Cutts Compensator - A cylindrical muzzle extension, with slots on the top, designed to push the muzzle down when a gun is fired, counteracting its tendency to rise, as well as to reduce recoil a little. Appropriate on a Colt Model 1921 Thompson submachinegun. Frequently fitted to single-barrel shotguns such as the Winchester Model 12, destroying whatever lines they had and materially diminishing their value.